Every year, MediaMath puts out global trends on the digital marketing space from around the globe. 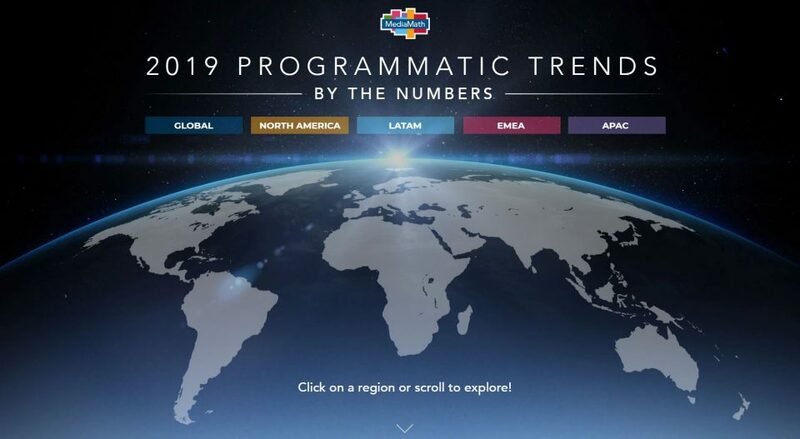 This year, we decided to try something a little different with our 2019 Programmatic Trends By the Numbers—an interactive infographic. Users can click into each region or country to see trends specific to that area and also watch some cool animations of the data. Click the graphic below to get started. We hope you enjoy the experience!